Ewondo or Yaunde are rain-forest agro-fishery and Kolo-speaking people of the larger Beti-Pahuin ethnic group of Bantu origin residing predominantly at Yaounde, the Capital city of Cameroon. 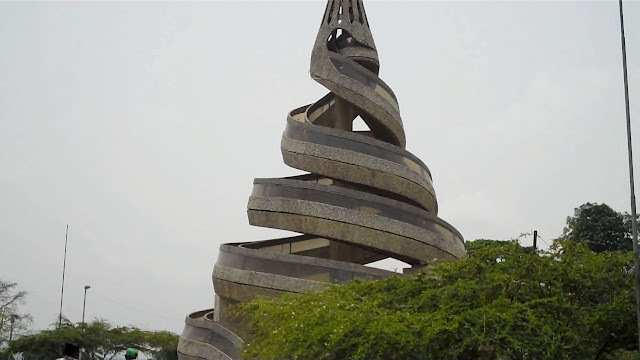 In fact, Cameroon`s capital city Yaounde was named after them. 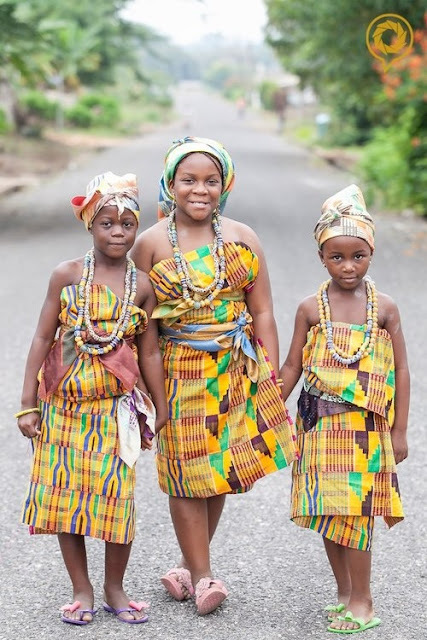 The larger Beti-Pahuin or Beti-Ekang aboriginal Bantu group are located rain forest regions of Cameroon, Republic of the Congo, Equatorial Guinea, Gabon, and São Tomé and Príncipe. Though they separate themselves into several individual clans, they all share a common origin, history and culture. They are divided into 3 major groups and a small ones. The first grouping, called the Beti, consists of the Ewondo (more precisely Kolo), Bane, Fang (more precisely M'fang), Mbida-Mbane, Mvog-Nyenge, and Eton (or Iton). The Eton are further subdivided into the Eton-Beti, Eton-Beloua, and Beloua-Eton. The Fang (or Fan) form the second group. Individual ethnic groups include the Fang proper, the Ntumu, the Mvae, and the Okak. Fang territories begin at the southern edge of Cameroon south of Kribi, Djoum, and Mvangan in the South Province and continue south across the border, including all of Rio Muni in Equatorial Guinea and south into Gabon and Congo. The third grouping is called the Bulu and makes up about a third of all Beti-Pahuin in Cameroon. The Bulu include the Bulu proper of Sangmélima, Kribi, and Ebolowa, the Fong and Zaman of the Dja River valley, the Yengono, Yembama and Yelinda of the Nyong River valley, and the Yesum, Yebekanga, Yekebolo, and Mvele. In addition, several other peoples are currently being assimilated or "Pahuinised" by their Beti-Pahuin neighbours. These include the Manguissa, Yekaba, Bamvele, Evuzok, Batchanga (Tsinga), Omvang, Yetude, and, to some extent, the Baka. Ewondo people which belongs to the first group, Beti, can also be found in the eastern Mefou division and the Mfoundi and Nyong and So divisions in the Centre Province. The remainder of their territory lies in the northern portions of the Ocean division in the South Province. Historically, Ewondo like all Beti-Pahuin groups originated in the forests south of the Sanaga River, not far from their current territory. At some point they crossed the Sanaga and moved north until they reached the upper Kadéï River. They soon came under attack there from the Vute or Mbum people, so they fled further north to the eastern Adamawa Plateau. The groups would not remain there long, however. Their migration coincided with the jihad and Fulbe (Fula) conquests of Usman Dan Fodio and his lieutenant, Modibo Adama, in the early 19th century. Under pressure from Fulbe raiders, the Vute moved once more into Beti-Pahuin lands, and the Beti-Pahuin were forced to relocate once again. They moved south and west in a series of waves. The first group included the Bulu and Fang, who split somewhere near what is today the town of Ebolowa. The Bulu followed the Nyong River westward, while the Fang turned south and followed the Dja River valley into the southernmost territories of modern Cameroon and into the area of present-day Gabon and Equatorial Guinea. Then the Ntumu and Mvae (Fang subgroups) moved toward present-day Gabon. The Beti, including the Ewondo, moved south in the final wave and settled north of their Bulu and Fang relatives. The Ewondo are known for their Bikutsi dancing musical genre from Cameroon. The word 'bikutsi' literally means 'beat the earth' or 'let's beat the earth' (bi- indicates a plural, -kut- means 'to beat' and -si means 'earth'.) The name indicates a dance that is accompanied by stomping the feet on the ground. In its modern form, bikutsi is very popular, and rivals makossa as the country's most renowned style. Popular bikutsi first appeared in the 1940s with the recording of Anne-Marie Nzie. Some twenty years later, the style was electrified with the addition of keyboards and guitars. "The Voice of Gold" and "The Queen Mother of Bikutsi": these are the phrases that are used to refer to Anne-Marie Nzie. The most popular performer of this period was Messi Me Nkonda Martin, frontman for Los Camaroes and known as "the father of modern bikutsi music"International acclaim began in 1987 with the formation of Les Têtes Brûlées by Jean Marie Ahanda. The late guitarist of Les Têtes Brulées, Zanzibar, invented the trick of damping the strings of his guitar with a strip of foam rubber to produce the music's characteristic balafon-like thunk. (The balafon is a marimba-like instrument that is widely used in African folk music.) More modern performers include Jimmy Mvondo Mvelé and Mbarga Soukous. Present-day bikutsi as performed by artists like Lady Ponce, K-Tino, Racine Sagath and Natascha Bizo is sometimes regarded as controversial. It has been criticized for the perceived sexual content of its lyrics and dancing style. In this respect bikutsi resembles mapouka from Côte d'Ivoire, which is also considered indecent by many Africans. The main difference is that present day bikutsi is still often performed by female artists who use it as a means of self-expression in a traditionally male-dominated society. Thus a singer like K-Tino, self-styled femme du peuple (woman of the people) sees herself as having an important part to play in the emancipation and liberation of the women of Cameroon. Among the current crop of artists are Patou Bass and Ovasho Bens, the promoter of a dance and philosophy called "zig zag". His first album is composed not only of Cameroonian traditional rhythms but also West Indian zouk and Jamaïcan-style reggae. Bikutsi has influenced Western musicians such as Paul Simon on his album Rhythm of the Saints. The Ewondo are also known for their traditional Nkul drum, as a result they are popularly known as "the People of Drum of God." It is said that in the past, the beat of an nkul, a wooden slit drum, reverberates at dawn around and through the trees and houses of the Ewondo people. Ewondo people (or Kolo-Beti) speak Ewondo or Kolo language which is Bantu language that belongs to the larger Niger-Congo language family. Ewondo is also a trade language. Dialects include Badjia (Bakjo), Bafeuk, Bamvele (Mvele, Yezum, Yesoum), Bane, Beti, Enoah, Evouzok, Fong, Mbida-Bani, Mvete, Mvog-Niengue, Omvang, Yabekolo (Yebekolo), Yabeka, and Yabekanga. Ewondo speakers live primarily in Cameroon's Centre Region and the northern part of the Océan division in the South Region. It is a dialect of the Beti language (Yaunde-Fang), and is intelligible with Bulu, Eton, and Fang. Apart from Kolo, Ewondo people speak Ewondo Populair, which is a Beti-based pidgin of Cameroon, spoken in the area of the capital Yaoundé. The Ewondo and their other Beti-Pahuin relatives` migrations also coincided with the apex of European trade off the Cameroonian coast. The newly claimed jungle and near-coastal territories of the Beti-Pahuin allowed them to ensconce themselves into a lucrative role as middlemen; in exchange for European goods, they provided items such as kola nuts, ivory, and slaves. After the establishment of a British naval presence in 1827 to hinder the West African slave trade, Beti-Pahuin merchants widened their operations to include such products as palm kernels and rubber (though slaves continued to be sold secretly). Beginning in 1887, German colonisers penetrated Beti-Pahuin territory to search for individuals to enslave on their coastal plantations. They also stopped the coastward migration of the peoples. Meanwhile, the French stopped further Fang penetration into their colony at Gabon, though the Fang of Equatorial Guinea continued unimpeded toward the sea and began using copper and iron money introduced by the Spanish. In time, the Germans expanded their Cameroonian plantations inland, and the Beti-Pahuin formed the easiest and most accessible source of enslaved labour to work them, to build the accompanying road network, and to serve as sexual prisoners for the German overseers. The Germans also outlawed or tried to suppress native customs that they deemed "barbaric" or unsavoury, such as the sacrifice of a chief's wives after his death and the sso initiation rite. Among these alleged barbaric practices the Germans were to outlaw, slavery and sexual exploitation at the hands of the Germans was not one of them. It was not long before the Beti-Pahuin showed resistance. The Bulus revolted first, in 1891. Their main complaint was that the coming of the Germans had stripped them of their profitable position as traders. The rebellion was squelched in 1895. Later that year, Ewondo chiefs of the Mvog Betsi clan were deemed "disruptive" and whipped before their village. In response, the villagers killed the men who did the whipping, and the Ewondos rose up over the insult. This rebellion lasted less than a year before the Germans suppressed it. Elements of the Bane and Mbidambani also led rebellions. In response to these aggressive actions, the Germans instigated a policy of removing uncooperative chiefs from power and propping up puppet rulers and paramount chiefs in their places. The most well known example of this is the 1911 appointment of the German-sympathiser and interpreter Charles Atangana, a member of the Mvog Atemenge sub-lineage, as paramount chief of the Ewondo and Bane. The Bulu feared that their trade relations and autonomy would be threatened by Atangana's appointment. Martin-Paul Samba led an uprising in 1912, but it was quelled. French colonial rule of Cameroon began in 1916 and largely followed in the German mold. Plantations multiplied and expanded as the French concentrated chiefly on cocoa. Meanwhile, the Beti-Pahuin continued to supply a significant source of free labour. The French also maintained a system of indoctrinating and installing handpicked tribal rulers. However, as France granted increasing levels of self-rule to its African holdings, the Beti-Pahuin were quick to seize upon it. An early example was the Bulu tribal union, a group of representatives from all clans who met to establish common tribal policies. Since the end of the colonial period in the 1960s, the Beti-Pahuin have succeeded in making themselves politically important in both Cameroon and Equatorial Guinea. Likewise, the Fang make up some 80-90% of the population of Equatorial Guinea, which has allowed them to become politically dominant in that country. The large number of Beti-Pahuin involved in lucrative enterprises such as cocoa and coffee farming also lends them a strong economic influence. Most Ewondo people maintain an agrarian lifestyle. Manioc and maize form the staple crops with plantains, yams, and groundnuts also playing a vital role (in fact, "Ewondo" and "Yaoundé" mean "groundnut"). A variety of forest products, such as greens, insects, mushrooms, and various palm products, supplements the diet. Livestock is limited to small animals that may be left to forage unattended, such as goats, pigs, and chickens. Fishing is central to the lives of many Beti-Pahuin, particularly in Equatorial Guinea and São Tomé and Príncipe. Toward Yaoundé in Cameroon and other large towns, bushmeat forms a substantial form of income for many villagers, who sell their kills to passing vehicles for sale in the urban centres. 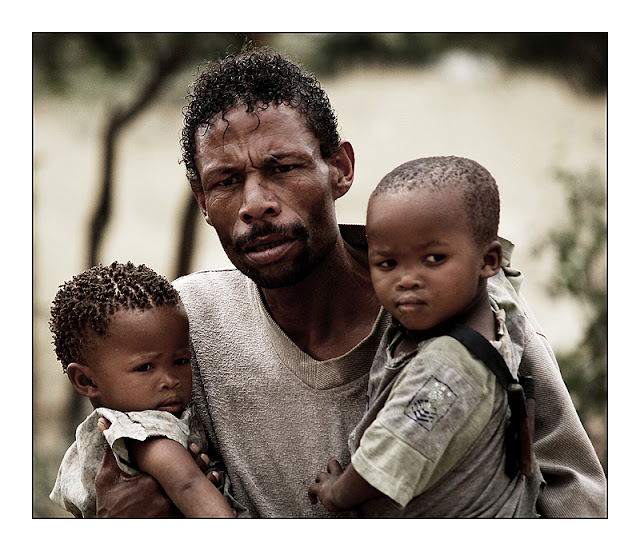 The Ewondos farther north often find work as unskilled labour, as their environment is much more urbanised. As late as the colonial period, many Beti-Pahuin were highly skilled workers in wood, ivory, and soapstone. They were particularly noted for their lively masks. Today, however, very little of this traditional craft is still pursued, though missionary groups have encouraged some carvers to continue to practice with an eye toward the tourist market. This post is a huge disapointment. The prideful display of Cameroon's capital city; Yaoundé as the "Home of Ewondo people," and the glaring lack of photos depicting village life gives the post a very shallow tilt--reminiscent of the mediocrity that seems to characterize the country. The captions are ridiculous; "Yaounde man," "Ewondo ladies,"Ewondo city," "Ewondo woman from Cameroon," "Beautiful Ewondo woman," etc is evidence of lack of focus and a haphazard presentational style. The writer waffles about groupings, giving a list of clans and the countries connected to these groupings without giving a definite identity or definition of who they're writing about. I clicked on this article to help me in a research. I learnt nothing. And BTW, are those links in the first comment really connected to this post? I'm baffled.